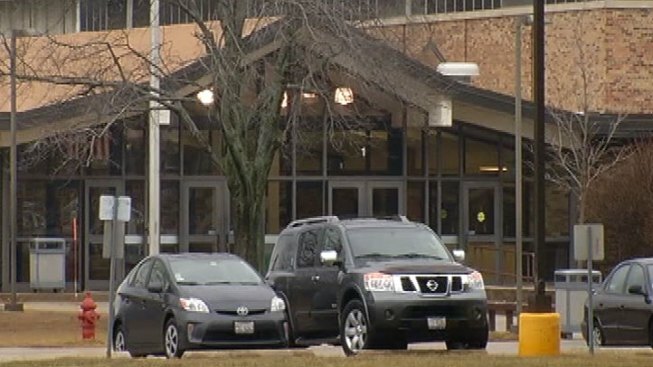 Cary-Grove High School Principal Jay Sargeant says blanks will be fired in the hallway to provide students "some familiarity with the sound of gunfire"
A drill this week to prep students in the event of a school shooting is getting harsh reviews from parents. Cary-Grove High School Principal Jay Sargeant sent a letter detailing a 15- to 20-minute "code red simulation" on Wednesday that will include shooting blanks in hallways while students and teachers take cover. "The purpose is not to shock kids and upset parents. Our purpose is to make sure that should something actually happen that we're prepared," said school spokesman Jeff Puma. He added that it's not the first code red drill the district has conducted in the wake of the Sandy Hook school shootings. The first was done just four days after the Newtown, Conn., tragedy. "We debated whether we should do it or not and we ended up doing it and it went very well," Puma explained. Still, the move made some parents and students uneasy, believing the sound of simulated gunfire was too strong a tactic. "I think it's a little over the top, like it's too much. I think we understand what could happen. I just think that it's unnecessary," said student Bobbi Breuer. Administrators stressed that it's important parents speak to the children about the drill before and after it takes place. Puma said social workers and other staff will be available to talk to students who have a "negative reaction" to the drill. In the letter to parents, Sargeant said teachers will secure their rooms, draw curtains, and keep students from traveling throughout the building. Cary police will then sweep the building to make sure students are in a secure location during the drill. "After the simulation, teachers and staff will "take some time to process what occurred" before returning to their regular schedule," he wrote. "These drills help our students and staff to be prepared should a crisis occur."